The RiverSoftAVG SVG Component Library (RSCL) is a scalable vector graphics (SVG) component library for Delphi XE4-10 Seattle and supports both VCL and FMX. The RSCL provides an SVG viewer in both VCL and FMX that adheres to the SVG specification version 1.1, a modularized language for describing two-dimensional vector and mixed vector/raster graphics in XML. 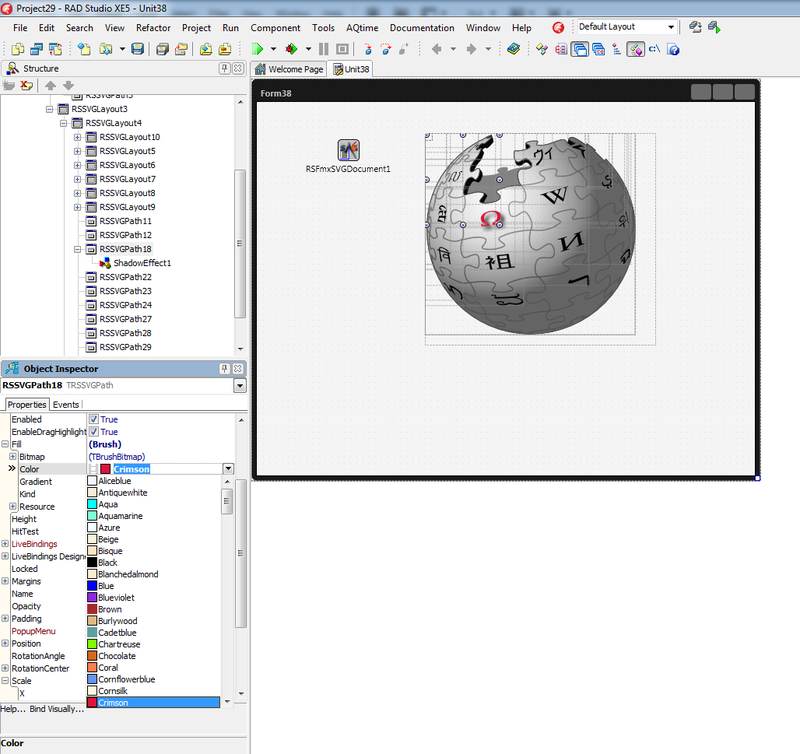 The RSCL provides Delphi developers access to the large library of free and commercial SVG graphics available from the web. The RSCL is, for the most part (see SVG v1.1 specification compatibility), a conforming static SVG viewer (e.g., dynamics are provided through Delphi instead of through SVG scripting) and SVG editor. 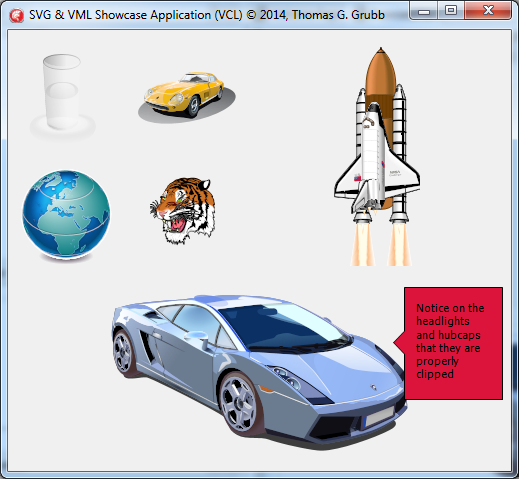 There is an optional multimedia instrument package, RiverSoftAVG IMPACT, that is available for SVG owners. 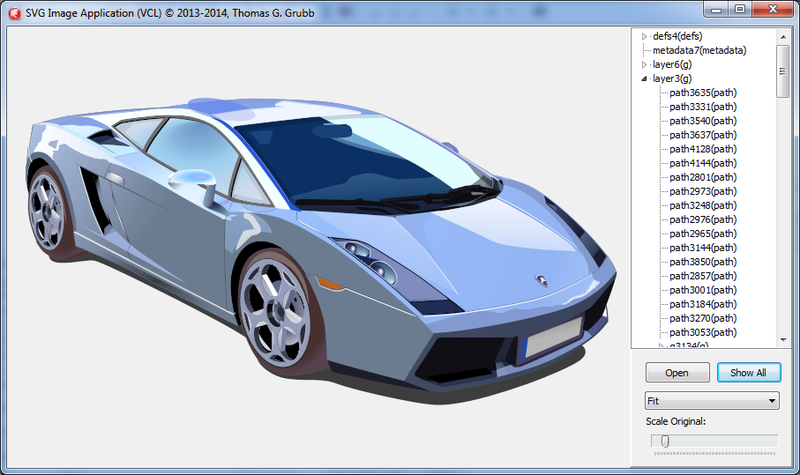 Using the RiverSoftAVG Products Help is very quick and easy with many options for how you want to display SVGs.